Pattern Designed by: Aurora Suominen Copyright © 2-2012 All rights reserved. 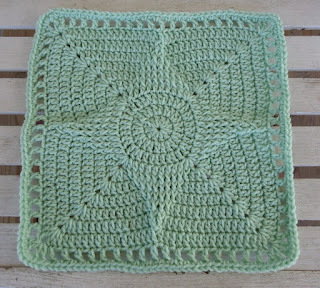 12” Square with “H” hook and WW yarn. 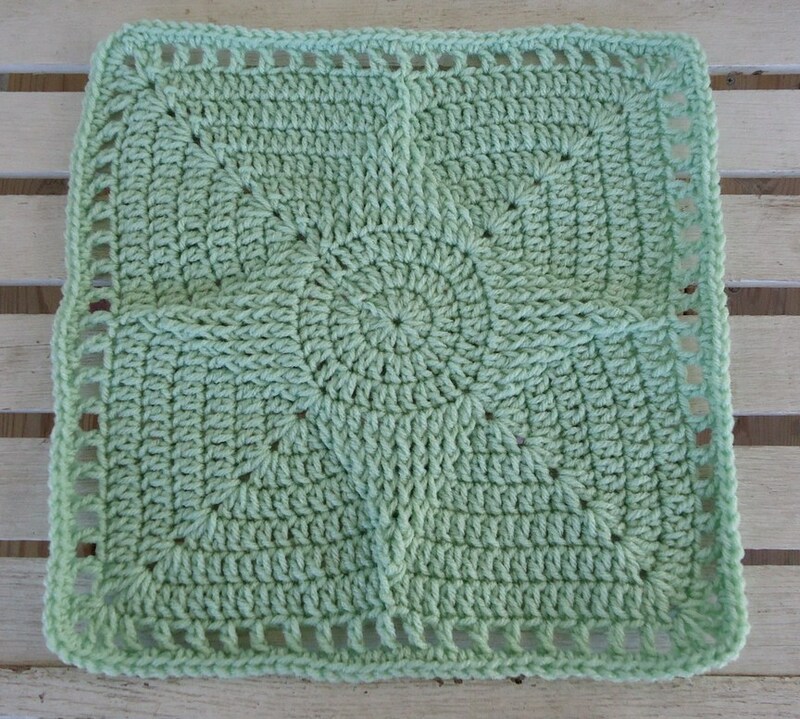 SPECIAL STS: FPDC=Front Post Double Crochet is worked “around” the post of dc specified. Rnd 2: Ch3 & DC in same st. 2DC in each st around. Join w/slst in top of beg ch3. (always in pattern) (24dc) *note* the ch3 counts as a st throughout pattern. Rnd 4: In same st , Ch3, DC, Ch1, 2DC (BEG corner made) [DC in 8sts, In next st work 2DC, ch1, 2DC (CORNER made)]. DC in last 8sts. Join. (48dc) Slst in next st & ch1sp. Rnd 5: Beg Corner. [+DC in one st, FPDC in 10sts, DC in one st+ Corner in ch1sp]3Xs. Repeat +to+ once & join. (64sts) Slst in next st & ch1sp. Rnd 6: Beg Corner. [+DC in 4sts, FPDC in 8sts, DC in 4sts+ Corner in ch1sp] 3Xs. Repeat +to+ once & join. (80sts) Slst in next st & ch1sp. Rnd 7: Beg Corner. [+DC in 7sts, FPDC in 6sts, DC in 7sts+ Corner in ch1sp]3Xs. Repeat +to+ once & join. (96sts) Slst in next st & ch1sp. Rnd 8: Beg Corner. [+DC in 10sts, FPDC in 4sts, DC in 10sts+ Corner in ch1sp]3Xs. Repeat +to+ once & join. (112sts) Slst in next st & ch1sp. Rnd 9: Beg Corner. [+DC in 13sts, FPDC in 2sts, DC in 13sts+ Corner in ch1sp] 3Xs. Repeat +to+ once & join. (128sts). Slst in next st & ch1sp. Rnd 10: Beg Corner. [+DC in 15sts, FPDC around both post together of next 2fpdc. Dc in 15sts+ Corner in ch1sp.]3Xs. Repeat +to+ once & join. (140sts) Slst in next st & ch1sp. Rnd 11: Beg Corner. [+ (Ch1, skip-1, DC in next)17Xs. Ch1, skip-1+ Corner in ch1sp]3Xs. Repeat +to+ once & join. (84dc, 76ch1) Slst in next st & ch1sp. Aurora, this block is just inspired. So great! SJ thank you again. BTW I love your blog!! This is such a cool square! Thanks for sharing. thanks for the pattern! I'm making a pillowghan with it!